The International Dark-Sky Association (IDA) has recently named Mitzpe Ramon the first international night sky park in the Middle East. The IDA works towards the prevention of light pollution and the conservation of night skies around the world. The distinction recognizes the Mitzpe Ramon nature reserve as a hub for the preservation of the environment. Mitzpe Ramon is the perfect destination for a unique desert experience. Located in Israel’s Negev desert, the Ramon Crater is a geological wonder that is sure to delight visitors of all ages. The crater itself allows for a range of exciting activities, such as hiking the many trails, jeep tours, and wildlife discovery. Of course, the Ramon crater is only the beginning; the desert of the Negev offers endless opportunities for adventure and exploration! As wondrous as Mitzpe Ramon is during the day, there is nothing that can be compared with experiencing the stillness and absolute silence of the desert at night. Only a short drive away from the centre of Israel, you can trade in the 24/7 hustle and bustle of city life for a tranquil stay in the desert. 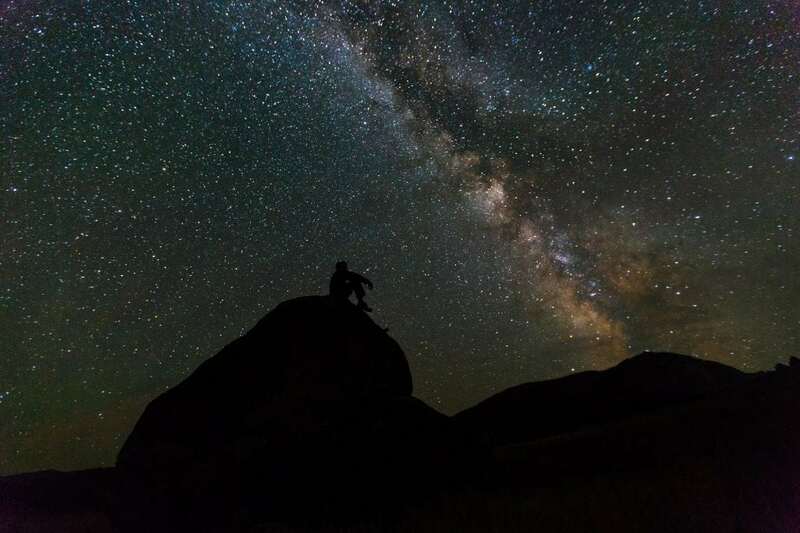 Grab a blanket, bring your family and friends, and lay back and appreciate the unforgettable phenomenon that is the uninterrupted night sky of the desert. There are accommodations to suit every type of traveler around Mitzpe Ramon. You can opt for full luxury and comfortably enjoy all that the desert has to offer, or if you’re feeling adventurous, you can choose to sleep beneath a canopy of stars and pitch a tent in the desert, Bedouin-style. Whichever way you choose to explore the Mitzpe Ramon crater, Mazada tours is there to help guide you through the planning stages. We’re happy to create a personalized itinerary that suits your tastes, level of adventure, and travel style. Take the stress out of planning your peaceful desert getaway and contact us to begin building your perfect escape.